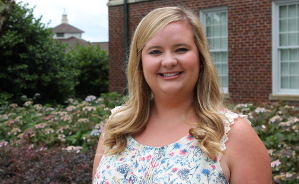 Saltillo native Anna Feather is a graduate student studying school counseling at the UM School of Education. When she isn’t spending time with her biological family, she’s spending her days with her adopted family— her M.Ed. cohort. Feather earned a bachelor’s degree in psychology from UM with the intention of becoming a registered play therapist. She has since veered from that path toward professional school counseling and hopes to one day work with elementary or middle school students. We recently sat down with Feather to talk about her counseling program at UM. 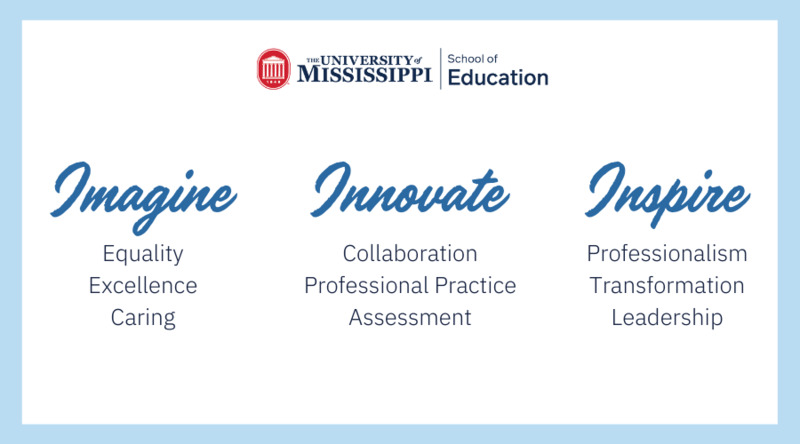 What brought you to Ole Miss? I came here for my junior and senior year after transferring from a community college. Ole Miss was already a part of home—my family are Ole Miss fanatics. We’ve had the same season tickets for 18 years. My dad is a huge Ole Miss sports fan and we have a place here in Oxford, so this has kind of been our second home. When I was accepted into graduate school I had other options, but this was the obvious choice. When did you realize you wanted to pursue school counseling? I’ve known since high school. In eleventh grade, I was an office helper in the counseling office. Our school counselors were really great, they were so friendly and approachable. One day I saw a girl who I knew walk into the counseling office and she looked distraught. About 30-45 minutes later she came out of the office and was smiling. I asked myself, “What happened in that room? What was so magical about that moment?” Her experience with a counselor completely changed her day. There have been people in my life who helped me through things and I want to be able to do that. I want to give back and help people on a different level instead of just advising them. I want to be able to help them with classes, but also help them with life. What’s something you really like about your program? Is there anything in particular that you really enjoy? I think the relationship we have with our professors is really interesting. At a graduate level, they teach us for two years, but by the third year of this program our professors become our peers. They have trained us to the max; we have the knowledge and we’re prepared to go out into the real world and be counselors. In undergrad it was, “I am your teacher, you are my student.” Now it’s, “I’m your teacher for now, but I’m training you so that you can be with me as a peer in a few years. One day you’ll be a counselor with me.” So I think that relationship we have with our professors is really interesting and really valuable. In Dr. Perryman’s counseling skills class, she told us what the first day would hold and we all questioned whether we could do it. For the first half of class you learn out of the book, and for the second half you apply what you’ve learned. Our cohort is like a family and suddenly you find yourself in this room actually counseling your friend sitting across from you. Because of this class, we learned so much about each other. We learned things that aren’t just on the outside, not the superficial things like, “I’m from Saltillo and my favorite color is blue.” We learned people’s struggles and what they’re afraid of. We call each other family, and we wouldn’t have this bond without that class. Counseling skills was by far the hardest class I’ve ever had to take, but also the most rewarding. I did first grade for a full year and I really loved that; I love little kids. They always teach me a lot more than I expect. Going into this program, I thought that I would definitely work with kids and be a registered play therapist. Lately, I’ve been working with fifth and sixth grade and in the fall I’ll be with seventh- and eighth-graders. Middle school is a crazy time; students don’t know what they’re doing and it’s incredibly hard. I chose middle school because I wanted those challenges. I didn’t want my internship to be easy. I didn’t want to go out in the real world and not know what I’m doing. A few months ago, I definitely would’ve chosen elementary, but now middle school is starting to grow on me. High school scares me though, I’m not sure if I’m ready for high school. How do you spend your free time outside of education? My family and I really love the water; boats, swimming pools, everything. I just love the summertime, and being able to get outside and enjoy time with my family. Spending time with my family is probably my favorite thing to do—it’s my stress relief, it’s how I take care of myself. With a master’s degree. Provided I can make it through spring 2017, that is. Hopefully, I’ll be working on my play therapy certification and maybe a Ph.D. But, first I want to see what the world is like with a master’s degree. I’d like to see myself in a school that has a supportive staff in north Mississippi. I think that would be good in five years.